Any person setting or in possession of a steel foothold or body gripping trap or snare shall have it marked by means of a nonferrous metal tag bearing his name and address or a permanent identification number issued by the Department. This requirement shall not apply to land­owners on their own land, nor to a bona fide tenant or lessee within the bounds of land rented or leased by him, nor to anyone transporting any such trap from its place of purchase. It is unlawful to set on land any steel foothold trap with teeth set upon the jaws or with a maximum inside jaw spread exceeding 6½ inches measured perpen­dicular to the hinges. 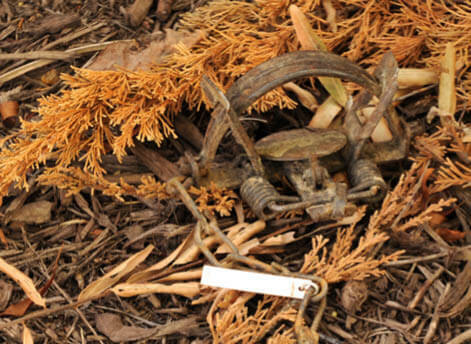 Trappers have the option of using a permanent identification number on their trap tags instead of their name and address. The Department will assign a unique number to interested trappers for permanent use. To obtain a trapper ID number, contact the Verona Regional Office at (540) 248-9360 for instructions. 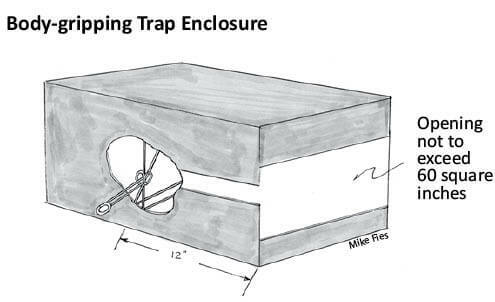 To ensure confidentiality, permanent trapper ID numbers will only be provided to trappers via a written letter mailed directly to the assignee. ID numbers will NOT be provided to trappers over the telephone or via e-mail. Please remember that this method of tag marking is OPTIONAL and that you may continue to use tags with your name and address, if you prefer.